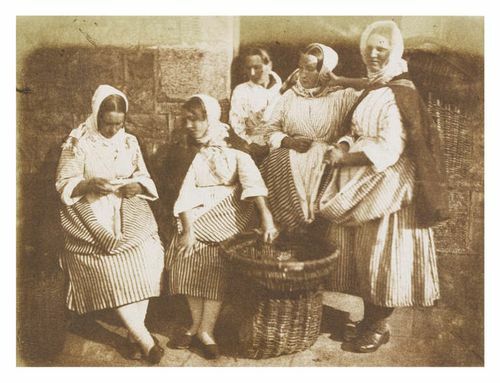 A group of Newhaven fisherwomen wearing striped skirts and shawls are gathered around a creel. One of the women reads a letter as the others listen in. They appear to be sitting on a harbour wall.